Want it by Wednesday 24th April? Order within 2 hours, 13 minutes and choose Next Working Day - Kerbside Delivery (Order Must be Placed by 2pm) at checkout. Quartz Terra 8mm V-Groove AC4 is a replica stone slab, with the properties of a laminate tile. This 8mm board measures 392.5mm in width by 1192mm long. The Quartz Terra is a light grey décor. This popular décor is suitable for most areas in the home. 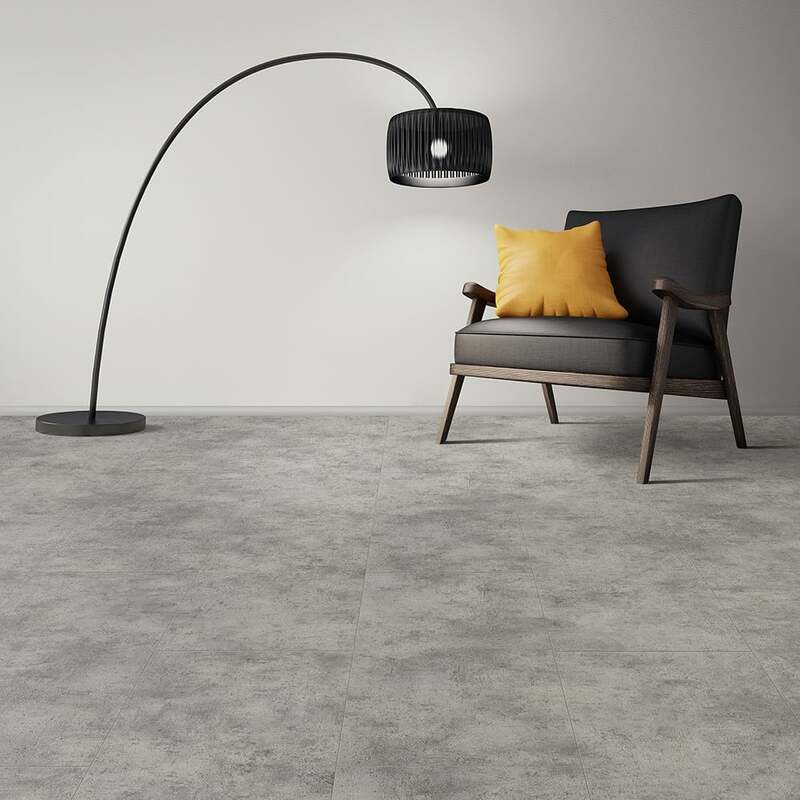 Giving warmth underfoot and serenity to your room this replica slab portrays the authentic look of real concrete. With a 25 year residential warranty and a 12 year commercial warranty, this floor can be in your home for many years to come. We have industry experts ready to help you choose the perfect addition to your home. Contact us today! Do you love our floor? Love your floor!